This beautiful five piece table and chair set adds exceptional design to your home dining setting. Featuring splat back side chairs with upholstered seats, the table showcases a large white oak veneer top and includes two 18" leaves to accommodate larger gatherings of friends and family. Completed with an antique white finish and turned legs, this table and chair set presents wonderful traditional design for your vintage dining room space. 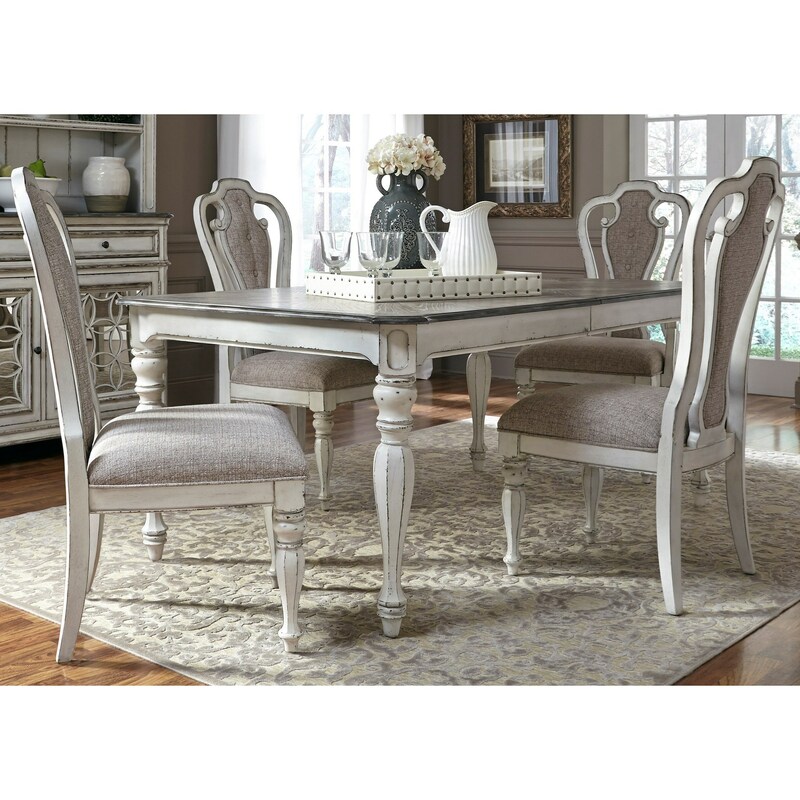 The Magnolia Manor Dining 5 Piece Rectangular Table Set with Leaf by Liberty Furniture at Miskelly Furniture in the Jackson, Pearl, Madison, Ridgeland, Flowood Mississippi area. Product availability may vary. Contact us for the most current availability on this product.